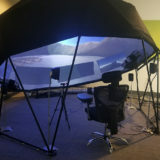 Immersive Experiential was asked by Rooftop Productions to help realize their vision for the PGA Tour’s Presidents Cup, a 4D immersive dome experience. 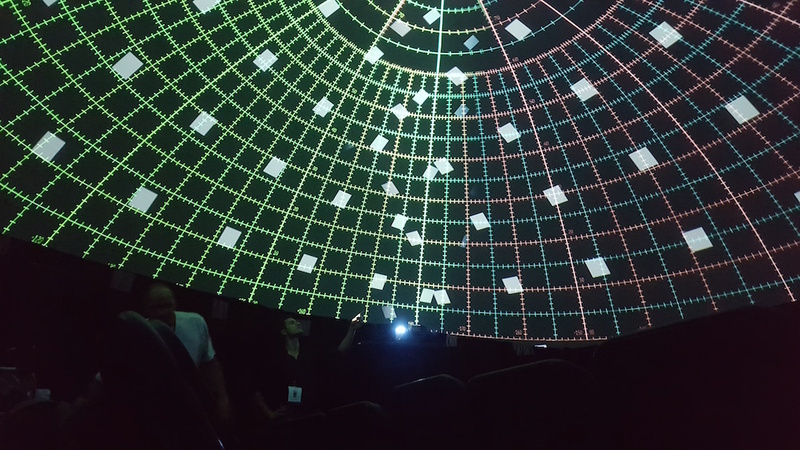 IMRSV-X built a 30ft projection dome and created the 360 content for the fulldome show called “Par for the Course”. The film takes you through the life and perspective of a golf ball voiced by Comedy Central‘s James Davis. The activation took place in the heart of the Oculus World Trade Center in NYC. For this project IMRSV-X used its 30ft geodesic projection dome. The whole dome system installed in less than four hours and matched the Oculus’s white environment perfectly. 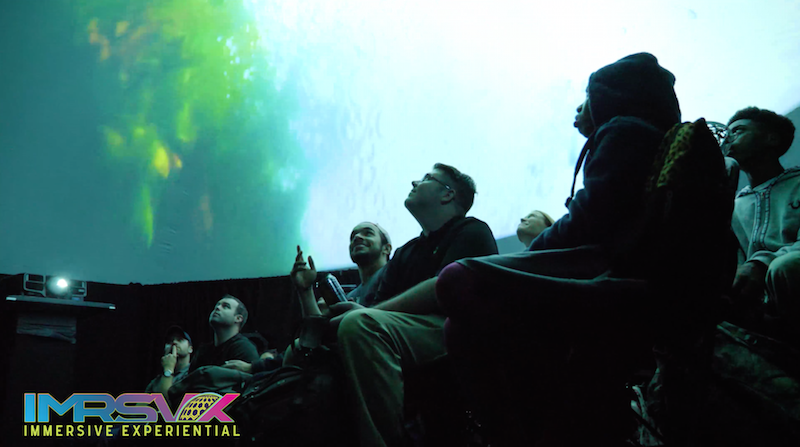 The team then went in and installed a three projector fulldome system coupled with our powerful server to run the 360 content. After mapping the dome’s surface and running some tests the show was ready to go. Since this was a 4D experience from the golf ball’s perspective, the audience could feel the air rushing past as they flew through the air. IMRSV-X created this effect using programmed fans that would turn on at just the right times and various speeds. 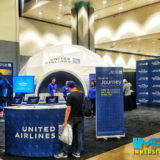 Immersive Experiential created the 360 content for the 4D environment with a variety of different methods. For the shots where the golf ball was flying through the air a 360 drone was used to capture the incredible shots of the golf course, New York, and New Jersey. The team even went as far as dropping a fulldome camera into the water to simulate the golf ball being hit into the swamp. After a few months of voice overs, editing, reviews, and more edits the content was ready to be shown to a captive audience for their shared immersive experience.